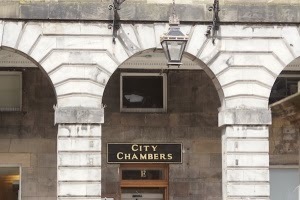 The Trade Union Side recognises that the City of Edinburgh Council like all other local authorities have seen a substantial reduction in their Grant Allocation from the Scottish Government and continue to operate within the financial constraints resulting from the Council Tax Freeze. The Trade Unions welcomed the Council’s decision to put the details of the budget out for public consultation three months earlier that had been the case over the previous years. The Trade Unions have grave concerns with the cuts being proposed in all areas. These can only have a negative impact on the services provided to the public and to our member’s jobs and conditions of service. Following the election of the current administration there was a commitment made that the authority would be ”member led”, unfortunately when the Trade Unions tried to arrange for elected members to meet with staff there was either no response, or an indication that they would instruct Officers of the council to meet with the effected staff. Only one member who was invited to meet with staff done so and we thank that Councillor for their engagement. Management engagement with affected staff groups has been described as poor. Managers have tended to present their proposals as being the final position. They took long periods of time before meeting with the affected staff groups and the general attitude from management was perceived as lacking feeling for the staff affected. The information provided in respect to redeployment opportunities has been poor and at time inaccurate, when there were claims made that other employment opportunities would be created there was no concrete information as to where these would be. Management had no Plan B. When management were asked to provide a detailed breakdown on staff affected by the deletion of their service area and by grade, along with details of where redeployment opportunities would exist, this was not provided. This creates the impression that the Directorate and their line management do not know what is going to happen and showed a lack of clear strategic leadership. Meetings on the whole were mediocre and meaningless. Through the process, meetings did take place with the Chief Executive, the Head of Finance and staff from Organisational Development. These meetings did provide detailed information and there was acknowledgement of the concerns raised by the Trade Unions, however, this did not appear to trickle down to the Directors and beyond. The Trade Unions feel that the significant cuts being proposed will impact greatly on all Edinburgh residents, in particular the most vulnerable including, old people, children and young people, and those with disabilities. In some instances the proposals will increase risk to these groups. There are also concerns that the proposals will impact on the health and safety of the general public and to staff. Impact Assessments for any proposed change are often carried out after the decisions are made rather in advance to inform the decisions making process leading to poor judgements with weak and vulnerable individuals and communities being disadvantaged disproportionately. Staff are being asked to contribute their views on how the Council can make efficiencies. This according to management is ‘because staff know the services’ however when staff have challenged the proposals presented by management their view are dismissed, a real example of double standards. Those who work in the public services are very aware of what is needed to provide meaningful, dedicated and professional public services and they are more than often prepared to go that further mile in serving the public. What they also know is that these services cannot be provided on a shoestring or by expecting staff to risk their health and safety as well as that of the public. One person filling a rubbish truck while keeping their eyes on the vehicles controls risks that worker and the public. Expecting a Home Help to call into support the elderly and/or infirm and expect this to be done in a fifteen minute period is neglectful of the service user, and undermines the staff members professionalism and moral. Deleting Early Intervention Services, closing Special Schools and Secure Units that provide invaluable support and protection to our most vulnerable children, young people and their families is irresponsible especially when there is no clear or detailed plan of how these needs will be met. There would then be the risk that services will be provided too late, and at a much higher cost to the authority, but more importantly to that group of individuals’ social and emotional welfare and development. It is hardly efficient to cut back on our business support staff that provides first class clerical and administrative support throughout the council service areas. Reducing these staff under the pretences that the so called front line services are being protected is not just a distorted myth but deceitful. What will happen is that we will have professionals such as Teachers and Social Workers spending more time on backroom duties to the detriment of the service users and classroom children, we clearly see this happening in the police force. Our role is first and foremost to protect the terms and working conditions of our members. We will defend the ethos of Public Services and will ensure that we challenge the myth that ‘we are all in this together’. Public services on the other hand are being cut to the bone. The staffs employed in the service have endured years of pay freezes’ resulting in a drop in their living standards, the derisory 1% pay rise imposed by the employer was insulting and will in no way address this. Reduce the number of private consultants who bring little discernable benefit.